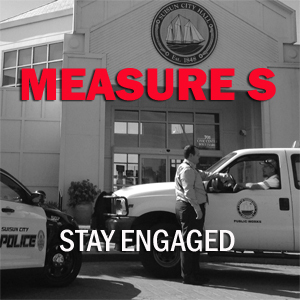 The membership and duties of the Measure S Oversight Committee (formally known as the General Tax Oversight Committee) are set by City Council Resolution 2017-36. “The Oversight Committee will ensure transparency and oversight of the revenue generated by the voter-approved General Transactions and Use Tax Ordinance. The duties will consist of reviewing the General Transactions and Use Tax Compliance and Internal Control Audit Report, which will be prepared annually by the City’s independent auditor, as well as any City financial reports necessary to advise the City Council. Committee members will be compensated $100 per meeting (up to three (3) meetings per fiscal year).